The extraction system removes powder from the work surface area to prevent inhalation by the operator during extinguisher servicing. 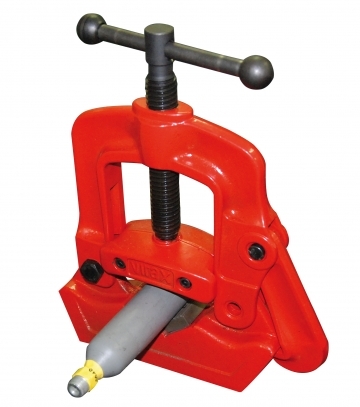 Accessory for fire extinguisher servicing: this cartridge clamping device holds the cartridge in place during opening and closing. 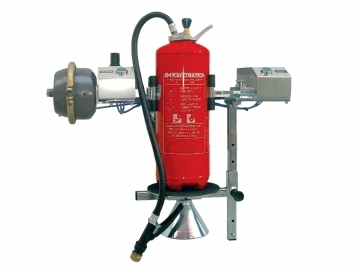 Accessory for fire extinguisher servicing: this clamping device holds fire extinguishers weighing from 2 to 12 kg. 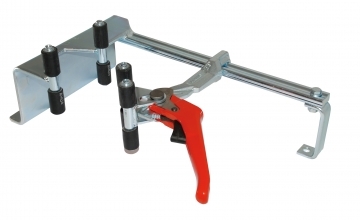 Accessory for fire extinguisher servicing: attached to a work bench, this rotating clamping device holds fire extinguishers weighing from 2 to 12 kg. 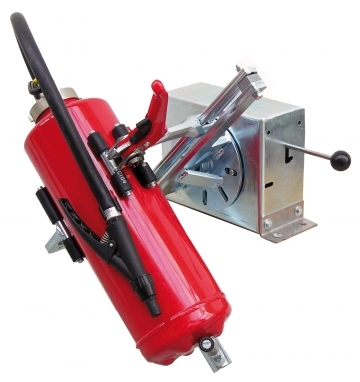 Accessory for fire extinguisher servicing: pneumatic clamping device operating with compressed air. 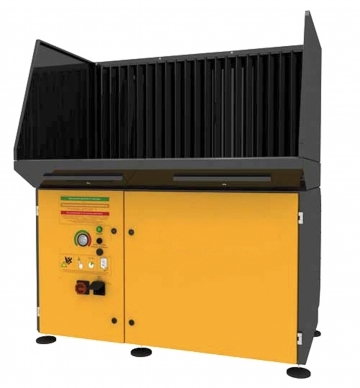 The clamping device can hold fire extinguishers weighing from 2 to 12 kg.